Ask fellow campers about "Anchor Down RV Resort" and nearby attractions. We had a buddy site so it was for (two units) with our friends, the fireplace was great as was the views. The staff stopped by everyday, you could not ask for a better stay. We went into Pigeon Forge and Gatlinburg and did the Smokies. We booked for next year. Highly recommended. We camped at Anchor Down RV Resort in a Motorhome. Excellent park with great customer service. This was our 4th time there and have already planned 2 more trips. 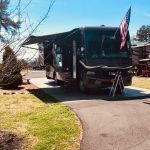 We camped at Anchor Down RV Resort in a Fifth Wheel. Beautiful RV resort and facilities. Staff was very friendly and helpful. Great views and space between sites. We will be back for sure! 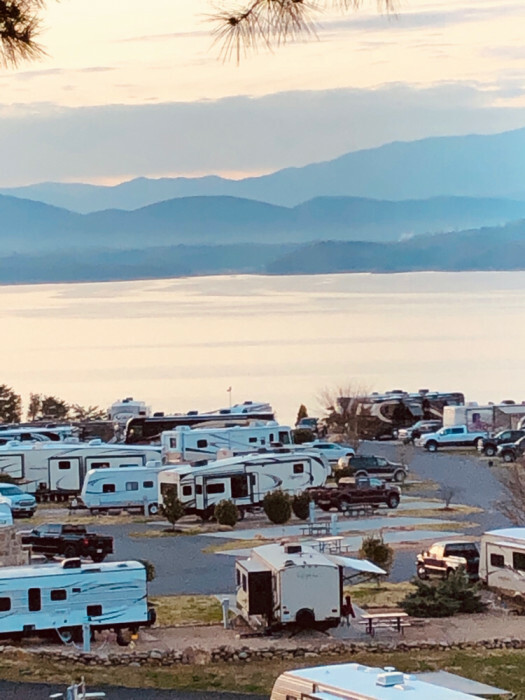 We camped at Anchor Down RV Resort in a Motorhome. Always a great place to stay. CLEAN and well run. 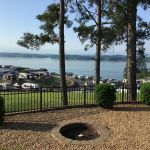 We camped at Anchor Down RV Resort in a Travel Trailer. Great views and this place is a resort, not a campground. Cons, 17 miles to Pigeon Forge / Dollywood. We have been RV'ers for 15 years and have had occasion to visit many parks. Without a doubt, this is the nicest park we have ever visited. The sites are very large and easy to manuver. We have a 41 foot fifth wheel and there was plenty of room to park the fifth wheel and the truck. The entire park is very beautiful with fantastic landscaping and amenities. The view of the lake and the surrounding mountains is breath-taking and you really hate to see the end of your stay roll around. The showers and restrooms are gorgeous. The people at the park are extremely friendly and helpful. 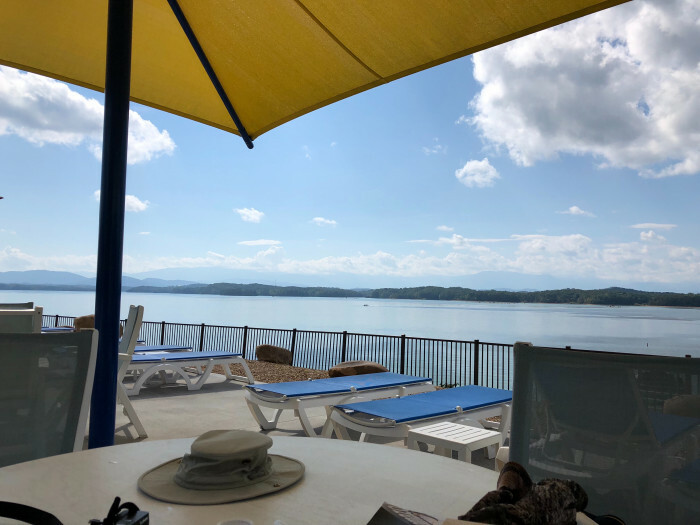 Dandridge is a remote setting on a beautiful lake; however, it is only about a 15 minute drive to Pigeon Forge where there are plenty of restaurants, etc. There are, however, some nice restaurants within 5 miles of the park and the town of Dandridge is a very historical. We have booked our reservations for 2 trips in 2019. 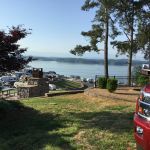 We camped at Anchor Down RV Resort in a Fifth Wheel. 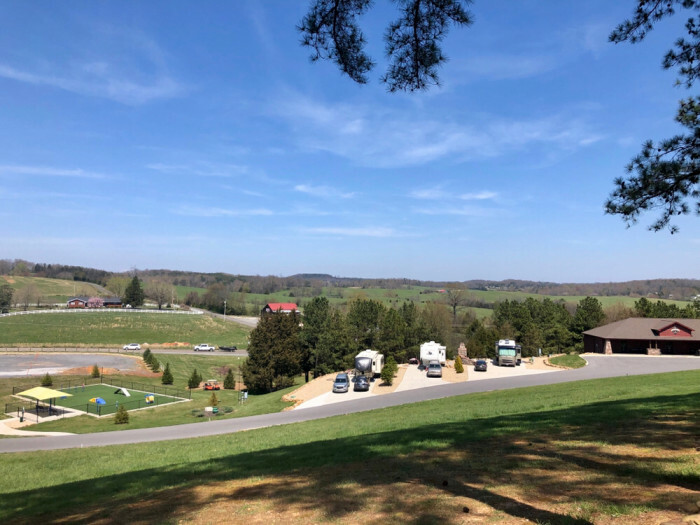 This park has spoiled us for any other RV park! Where do I begin? From the moment you drive up and see the beautifully landscaped flower gardens greeting you, you know this is nice. Wide, paved streets lead you to nice wide spots that are paved - you park on paved, and have your firepit and truck parking on paved. Everything else surrounding that was nice neat big gravel. Some of the spots have more shade than others; some have better views (and are more expensive) than others. We were there in September, so the only time we saw kids was on the weekend. But there was so much for kids to do - their own white sandy beach and swimming area; playground equipment. The park is right on Douglas Lake, so had a great launch place for boats or, in our case, kayaks. The lake was nice and quiet when we kayaked. There were two bathhouses, each with several private bathrooms, with sink, toilet and huge shower. Those bathrooms were amazing, with tile and granite! And very clean. They also had a "Campground Cafe" food truck right by the swimming pool, and they served all kinds of foods. We didn't get a chance to hike, because the weather was hot, humid, or raining, but look forward to that next time. Also - we were having a problem with one of our slides, and my husband was standing on the truck to try to fix the outside of the slide cover, when along came a man on staff in a golf cart, asking if he could help. He went and got his tools, came back, and probably spent almost an hour helping my husband. When he left, we asked his name (to give him a good review), and he said he was the owner! What a nice, humble guy he was. I just can't think of anything bad to say about this place! Decent wifi, great cable. 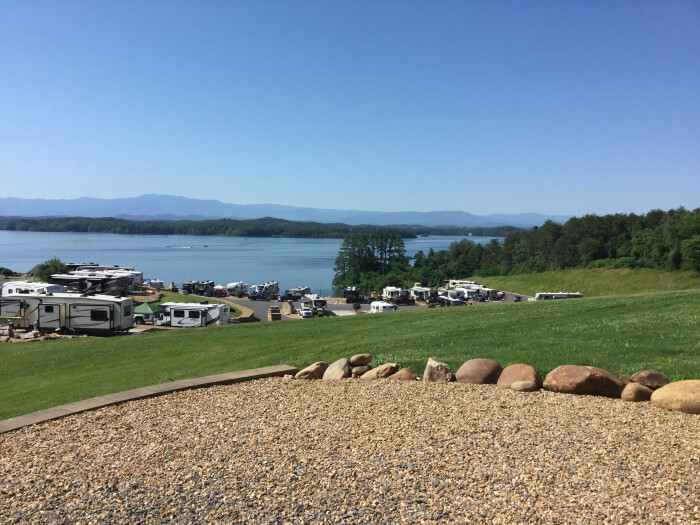 We camped at Anchor Down RV Resort in a Fifth Wheel. Cleanliness was outstanding in all areas of the park, especially in the restrooms/showers. The rest room "compartments" are totally private, spacious spaces that contain a sink, toilet and shower and are spotlessly clean at all times. The campsites are mostly level and are all hardscape so they stay clean. Unfortunately, our site (a pull-in) was next to a back-in site, so our awning and door faced our neighbor's awning and door, so we were face-to-face with them. On the other side, we were only inches from that neighbor. Both our neighbors were quiet and friendly, so it was not much of an issue, except for privacy. Our site was on the road to the "beach" and boat launch, so there was a lot of golf cart and vehicle traffic going by throughout the day, especially on the weekend. Most other sites also seemed close together but many had a fantastic view of the lake with the mountains in the background. The sandy beach was very nice and very clean, with a super water slide close-by that was excellent fun. The pool was also clean and fun, with a water-slide that was enjoyed by children. We cannot say enough about the staff at this site that was extremely friendly and helpful. They constantly worked to make sure every bit of trash or dirt was picked up, and would offer you a ride to your site if they passed you as you were walking. The campground was quite hilly, but they rent golf carts that appeared to be fairly new so that makes it easy to get around. Wi-Fi and cable was excellent. We thought we could ride our bikes, but it was too hilly, and the main road had no shoulders so we were restricted to staying in the park as it was too dangerous to walk or ride the main road outside of the park - and, since the park was so hilly, we did not ride the bikes at all after day-one, a disappointment. We do not tow a car, and usually rely on walking or biking. There are several sites on the hill that had outstanding views, and some nice shade. If we go back, we will try to reserve one of those sites. 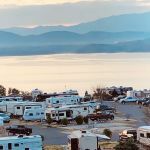 We camped at Anchor Down RV Resort in a Motorhome. We called to sign up for the boat tour and were told he would contact us the next day with a departure time. He did not call. We called him the second day and he told us again he was going out the next day and would call us - he did not. We gave up. A true resort. This place would be fabulous for families with kids. It has EVERYTHING: pool, water park on lake, views, dog park and more. We had site 17 up on a hill which was very spacious with a view of the lake. The sites that were on the lower level with back ins on the lake looked congested. One must rent a golf cart for $39/day to get to the office, pool, water park, etc. unless you young and athletic. Sitting by the pool one has a beautiful view of the lake. There is a little walk-up place near the pool that has hot dogs, hamburgers and pork sandwiches. The surface where you park your RV is a little strange. It is kind of cement but slick and textured. We tried to use our Camco leveling blocks, but they just skidded along and got chewed up by the texture. Luckily we had some wood we could use. The pad was not far off level. 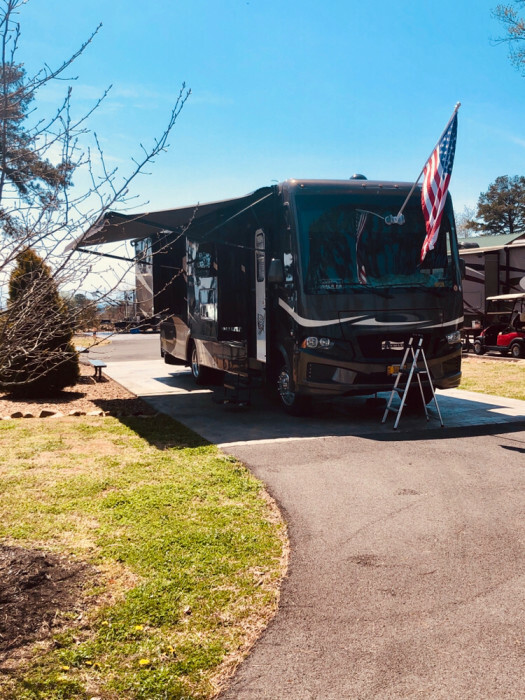 We camped at Anchor Down RV Resort in a Fifth Wheel. Absolutely go to the Biltmore Estate in Asheville North Carolina. Rent a golf cart at Anchor Down - just count it as part of the cost of staying there. Sit down by the pool to take in the view of the lake. This was our 6th stay at this top-shelf RV resort. We have been coming here since they first opened and they just keep adding on and getting better and better. 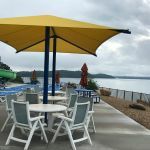 They now have an awesome dog park, a basketball / pickle ball court, a white sand beach at their lake front with a couple of huge blowup slides. They have also added a concessionaire near the pool and lake that offer sandwiches and ice cream, etc. A first class RV resort that is extremely popular. You better book early if you want to stay here or you'll be out of luck. We camped at Anchor Down RV Resort in a Motorhome. We stay here every Memorial Day with family in a second unit. We love it here and have the next 2 Memorial Days already booked so we can have our buddy sites. They are continually adding to this park. They upgraded the "beach" area this past season and added two awesome water slides. You may want to rent or bring your golf cart as it can be a hike up hill to some places in the park. Always spotless and the staff are always friendly. Excellent dog park and tennis/basketball/pickleball courts. Also a pretty decent pool. 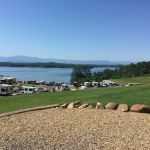 We camped at Anchor Down RV Resort in a Motorhome. We will be back!!! Grounds clean, people nice, even the activity on the water slide was monitored by management. (Big thank you since we have kids!!!) We camped at Anchor Down RV Resort in a Motorhome. This is a premier campground. There was nothing not to like about it. We were promptly greeted when we arrived. Check-in was a breeze. Only suggestion would be to have someone guide guest to their site. Having never camped here before we weren't really sure how to get to our site. We were in site #129 which is a row back from having a perfect view of the lake. This campground is big and thankfully we had the foresight to rent a golf cart for the week. It definitely came in handy. The bathrooms are first class, very spacious and very clean. Anchor Down even had a little cafe that served sandwiches, drinks and ice cream. We will definitely camp here again. 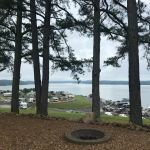 We camped at Anchor Down RV Resort in a Travel Trailer. A beautiful RV resort. Park located approx. 4 miles off I-40, good access roads. They provided directions, and we by-passed heavy traffic once off I-40. Entrance is wide, up on a incline. When we entered the park, there was staff outside check-in directing where to park for staging as there were 4 other RVs coming in at same time. They had two people working check in inside office. Check in took a few minutes but staff very friendly and helpful. We were directed to our site, easy to locate. We couldn't unhook at check in, therefore were able to once we arrive in front of our site. Internal roads are wide. Our site was back in, 50 amp, with patio and picnic table. We have 40 ft RV, Rig fit great and there was room for our jeep at site. Plenty of room between our site and the next one on the side and back. Rig needed to be leveled in the front, but back was close to level. Our site didn't have trees, therefore was able to get satellite. They also have cable as there are some sites that back up to mature trees. Clean, individual bathrooms located around the park. There is a laundry room, but didn't use it. Garbage is picked up at site in the AM, or there are dumpsters located in overflow parking. There is a dog park, plus plenty of green space to walk dogs with trashcans and bags. Beautiful views of the lake from around the park. There are activities in and around the lake as well as ball courts. There are two overflow parking lots for extra vehicles, boats, jet skis. There is a food truck on site located near the pool. Park is clean and well maintained. We saw staff out and about all day. Park was sold out when we were there, yet it was quiet at night. We were here for a Rally, had a great time, and will be back on our own soon! 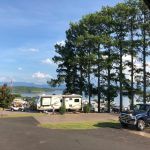 We camped at Anchor Down RV Resort in a Motorhome. Sevierville, Pigeon Forge and Gatlinburg, all located an hour or less from park. Traffic was heavy, but we were there on a summer weekend. Visit the Bush's Bean Visitor Center in Danbridge, very interesting! This is one of the nicest places we have ever stayed. The staff was friendly and helpful. The view from our upper level site was fantastic. We used the lake, pool, basketball court and dog park. We rented paddle boards and used the fire place nightly. We would suggest using the webpage to look at the sites offered and pick one with view of water and mountains. We made reservations over one year in advance. We drove 10 hours to get there and I wouldn't do it for a site that's located on lower lot with no view. We will return. 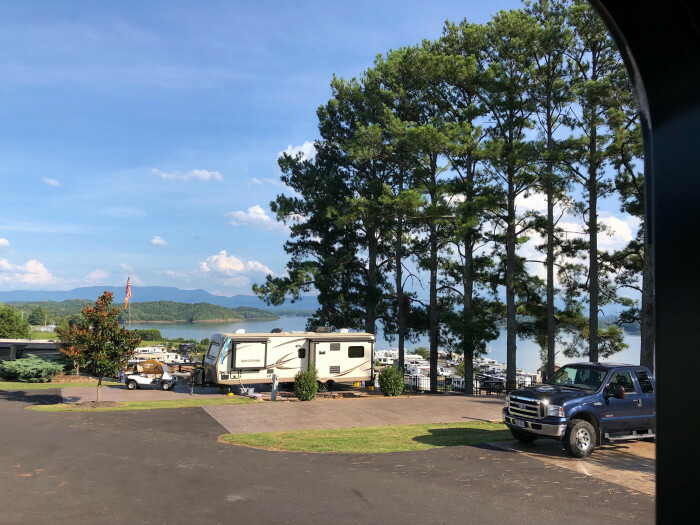 We camped at Anchor Down RV Resort in a Fifth Wheel. By far the nicest campground we have been too. Staff is always willing to help and friendly. Sites are cleaned before you check in. Never a piece if trash laying anywhere. Almost all sites are big rig friendly. 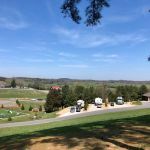 We camped at Anchor Down RV Resort in a Travel Trailer. If you have a boat, there is dock or you can rent pontoon. Fish off the pier. Swim in lake or pool. Within minutes of Piegon Forge and Knoxville. Eat at Cowboys a mile down the road, they are open Thursday through Sundays for dinner. Cade's cove, Biltmore, were spectacular. Very close to piegion forge and Gatlinburg. Go to the Bush's Beans Visitor Center in Dandridge. Plan to spend the day. Breakfast at Owens Restaurant, Bush's Beans visitor center, pontoon boat ride offered by Anchor Down, GSMNP. They are very close to Sevierville, Pigeon Forge (Dollywood and MUCH more), and Gatlinburg/Smoky Mountain National Park. don't miss the Titanic Exhibit in Pigeon Forge. It's really great! But warning...the park is so nice, it's hard to leave to go into town! We ate right down the road at Cowboys on the Water, is was a decent place to grab some diner. Went in to the Dixie Stampede one night and it was a lot of fun. Douglass Dam is nearby and has nesting Eagles at the tailwater. Knoxville's Market Square is worth visiting and has many restaurant choices. Close to Sevierville and the tourist attractions. Not too bad a drive to Gatlinburg/Pigeon Forge/Dolly wood. In the evenings you can see the Dollywood fireworks from the park if you look in the right direction. Bush' Beans tour/factory near by. Access to Great Smoky Mountains NP isn't easy because there are lots of tourist attractions and traffic (Sevierville, Pigeon Forge, Gatlinburg) on way to the park. Took us an hour each way plus 30-60 minutes to get to trail heads. Beautiful lunch spot at Chimney Tops Picnic Area about 4 miles into the NP (Gatlinburg entrance). We had a fabulous prime rib dinner at Taste of Dandridge. Good food, outstanding service, and BYOB so that makes a great dinner more affordable as well. Anchor Down is a 45-60 minute drive to Smoky Mountain National Park and 15-45 minutes from the crowded areas of Gatlinburg and Pigeon Forge. We went to "The Diner" in Sivierville for the Elk Burger. It was ok but didn't wow me. Suggest going to a show in Pigeon Forge and definitely go to the National Park. If you like to hike, there is nothing in the RV park but you can get your exercise walking up and down the hills in the park. We rented a pontoon boat at a place down the street. Good restaurants in the area are numerous but some of our favorites are Apple Barn Restaurant in Sevierville, Cowboys in Dandridge, Taste of Dandridge in Dandridge at I-40 Exit 417, Holstons in Sevierville, and Grist Mill in Pigeon Forge. Visit the nearby Smoky Mtns National Park while there, Gatlinburg, and there are numerous places of interest and fun things to do from Water Parks, to music shows, comedy shows, Dinner shows, etc, etc. Douglas Lake dam is near by and worth a look. Very good views. Approximately 7 miles to a grocery store and other essentials. Shopping, Dollywood, the lake, pool, fishing. Sevierville, Pigeon Forge, Gattlinburg, Smokie Mountains close by. Dollywood too. Check out Historic Dandridge. Ate at Cowboys down the road-honored our reservations and table with a beautiful view of Douglas Lake. Also tried Angelos' in Dandridge across the green bridge-both restaurants had great food and service at out time of visit. Short drive to Pigeon Forge, too. 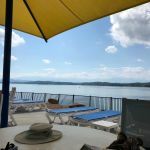 This location is far away enough from the madhouse that is Sevierville/Pigeon Forge/Gatlinburg, but close enough and easily accessible if that's where you're wanting to spend some time. Head east from the park to visit Tinsley-Bible pharmacy and grill in Dandridge, then travel south to Chestnut Hill to visit the Bush Beans factory and visitor's center. Pigeon Forge and Sevierville is only 20 minutes away. All the touristy things are close if you want them. Go west to main road for groceries, 15 minutes away. Anchor Down is just a short trip into Pigeon Forge and Gatlinburg for all your shopping needs. Many things to see and do in the area. Bush bean factory museum is a fun place nearby. We enjoyed the historic town of Dandridge but missed lunch at the Tindle Bible Drug store. There is counter service available from 12 noon to 2pm, with the best burger in the country we were told! Unfortunately the counter was closed for vacation during our visit, but we will be sure to return. Follow their directions to exit 412 to avoid the traffic. Minutes from Pigeon Forge, TN. The smokies are close as are the towns of Gatlinburg and Pigeon Forge too. They have docks you can rent if you bring your boat and if not you can rent one just down the road. Lots of good restaurants in the area. Short drive to Sevierville, Pigeon Forge, Gatlinburg, Smoky Mtns National Park. Are you affiliated with Anchor Down RV Resort ?